This item is a stunt AA-12 shotgun wielded by Royce (Adrien Brody) in the 2010 Sci-fi action film Predators. The gun can be seen throughout the film as Royce uses it frequently as he navigates the planet which is being used as a Predator game reserve. 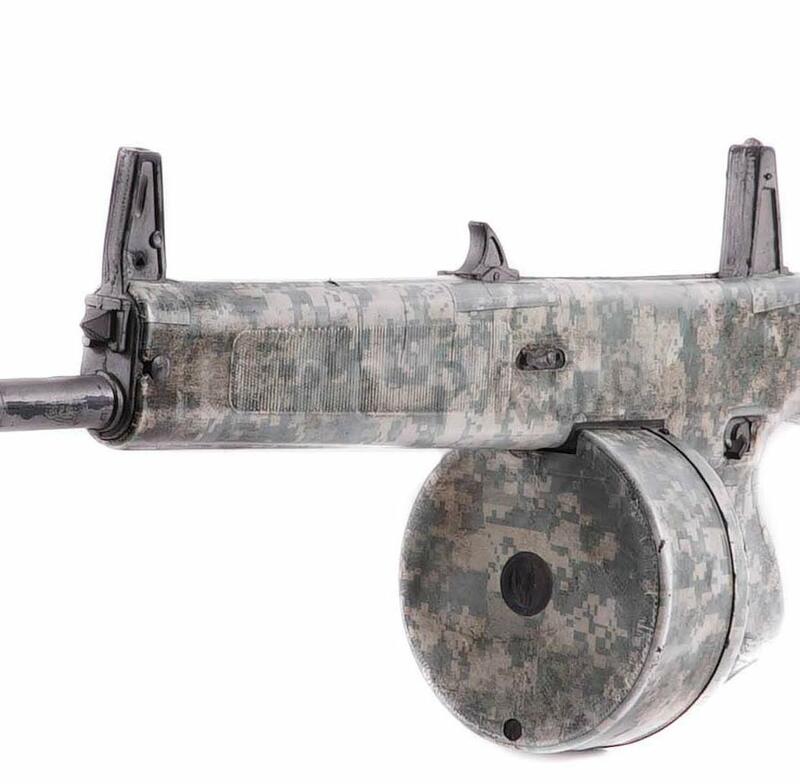 The gun is made entirely of rubber and has been crafted to look exactly like the real thing: it includes a drum magazine, has “AA-12” printed on the stock, and features all of the sights and small switches/levers present on the actual gun. 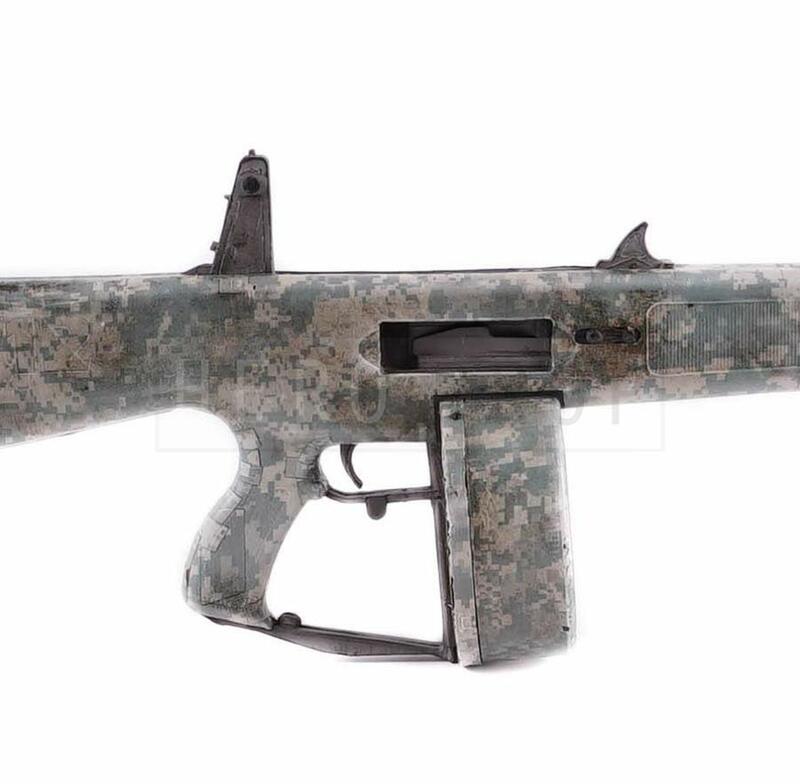 Additionally, the entire gun was covered in a skin-like tape, which closely resembles that of the US Army pixelated UCP pattern which can easily be screen matched. This awe-inspiring weapon measures a lengthy 38” (97cm) and is in very good condition. This piece still features some areas of dark grime throughout due to production use. * Please note: in the film the gun features a Surefire M900 foregrip weapon-light, which was removed by the production but one could easily attached.